This is one of the most underrated injuries in Juniors and it shouldn’t be. Because of the ‘hyper-mobility’ of the joints the occurrence is high. Another issue is that an ankle sprain can also accompany a fracture of the fibular head. This is the bone that runs along the lateral portion of the lower leg. The fibular head is next to the knee. The ligaments attachment are more pliable than and adults so its no wonder why this occurs. However, there are methods to reduce this injury. More importantly though is the proper management of these injuries. Back in the old days, treatment was warm water bath with Epsom salts and crutches. The new protocol requires a walking ‘boot’ to mobilize the foot so it heals, and depending on severity of sprain, PT(physical therapy). This can take up to 2 weeks. Again depending on the severity, healing time can be longer. It is of utmost importance that ANY fitness programs for Juniors that are recovering from lower extremity injuries like an ankle sprain, be exposed to functional stability training. If this is not done then expect a re-occurrence of the injury! 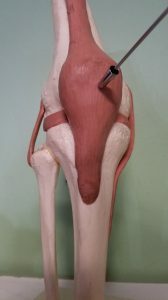 OSGOOD-SCHLATTERS: This is occurs when the knee tendon that attaches to the tibia(see image below) pulls on its attachment called the Tibial tubercle. 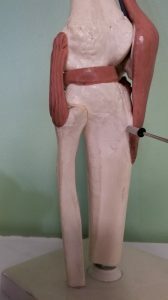 This anatomical protuberance will not ossfiy(harden) sufficiently enough to tolerate the the powerful pull that occurs when the big quadriceps (thigh) muscles contract. This causes ‘micro’ fractures that can cause pain. The typical treatment is a patella strap over the tendon that distributes these forces. Some doctors will suggest rest which is a bad idea or they will say “they will grow out of it” again, not a good prognosis. There are not only management strategies but preventive ones that you can put in place. These strategies are called eccentric’ training which can actually make the tendon attachment stronger! I am not a fan of telling an 11 y.o kid in pain “you will grow out of it”. There are several ways to mitigate these symptoms so an athlete or non-athlete can play without pain. These techniques require a series of movements we call eccentric training and patella ‘turn around’ of forces. Both are very effective and safe. 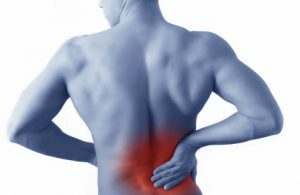 LOW BACK INJURIES: The back in sport is by far the most vexing for any level of athlete. The low back pain can impact performance significantly. At least with the previous injuries mentioned, you can see how the mechanics of an injury can happen. However, low back pain does not require physical contact ie being tackled, or checked into the boards like in hockey.. It can be caused by poor training practices, and not understanding the development stages of the spine and what it is susceptible too at a young age. The good news is that these injuries are preventable. A good sports performance training program is designed to sustain optimal performance every year they compete. But the most important goal is reducing the risk of injury and at the same time increasing the complexity of a training program. 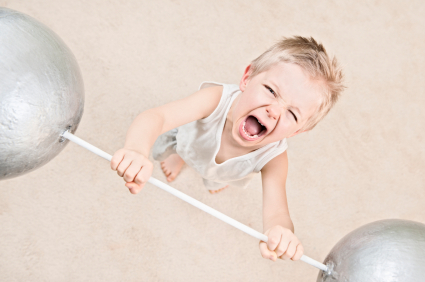 Understanding the developmental stages of young athletes ensures that injuries will be at a minimum during the training process to achieve optimal athletic performance.